I've shared over my blog and my other social media sites especially in Instagram that I love travelling! Hence the hashtag #MPTravels to #InsertNewCityHere was born. I'm happy that my work gives me the opportunity to travel to different places, because personally, experiencing a new culture or heritage makes me feel so alive. And when I travel with the family, the first thing that comes to mind is - head the BEACH! Enjoy the sand, the sea and of course the SUN! 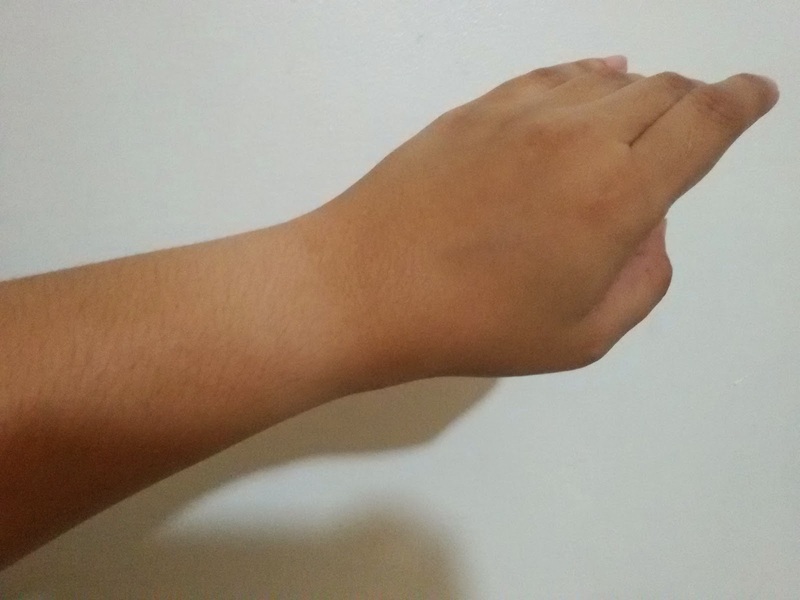 Although I put sunblock on my face, hand and body, still, I get dark in some places and it's uneven. I haven't really addressed this concern seriously. I always thought, my color will be back sooner or later. But with the kind of skin that I have, it's not as easy as others who just have their skins peeled off and after a few weeks, their colors are back. Not for a morena me. I just want a lighter color, actually just back to my regular color, faster that the rate it's going. 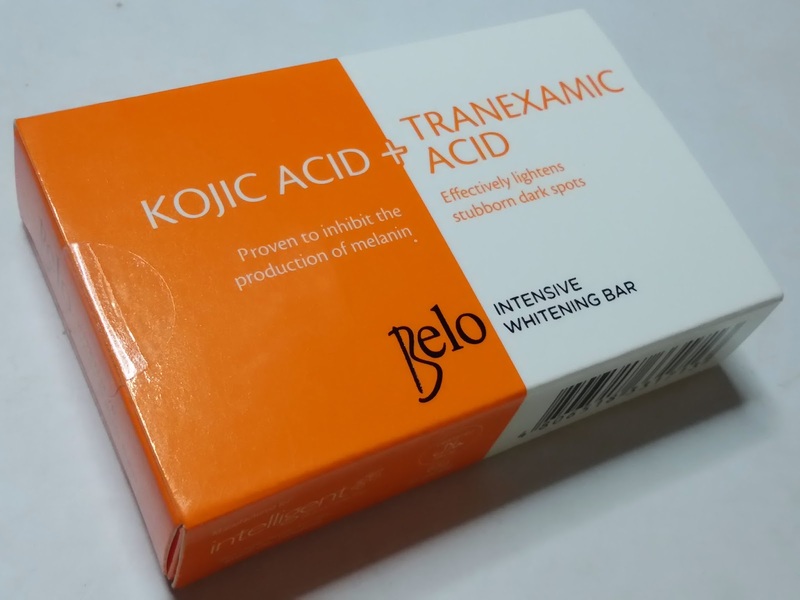 I'm happy that an innovative and advanced whitening skincare product could address this skin concern: BELO Intensive Whitening Bar (Kojic Acid + Tranexamic Acid). 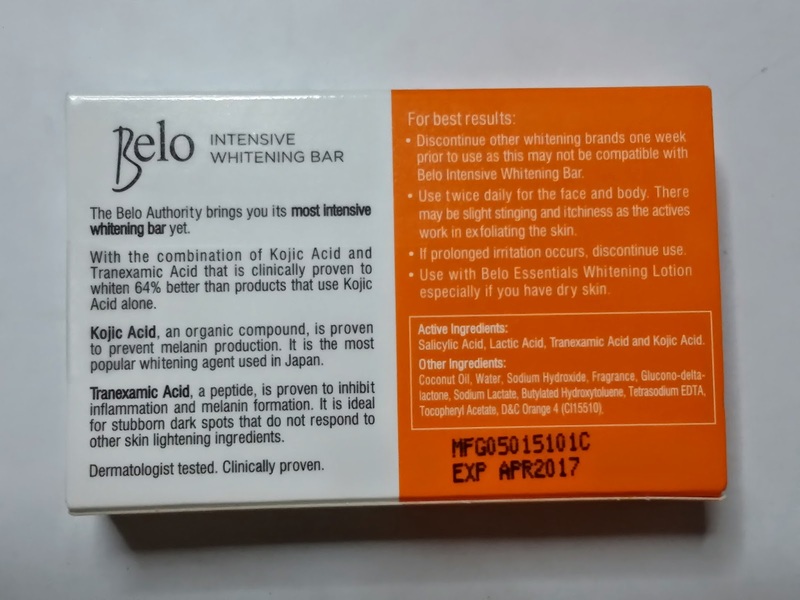 My first encounter with BELO Intensive Whitening Bar (Kojic Acid + Tranexamic Acid) was trying their soap. 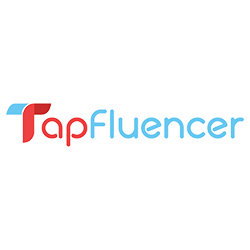 It was effective on me and I definitely saw positive results within two weeks of use. I'm surprised to know that this time, skincare line has expanded to having BELO Intensive Whitening Face and Neck Cream and BELO Intensive Whitening Body Cream. It's like a power trio products working altogether to give me the desired results I want for my skin! After using for almost 2 weeks. Diba? EFFECT kaagad! So what are the active ingredients of this effective skincare product? 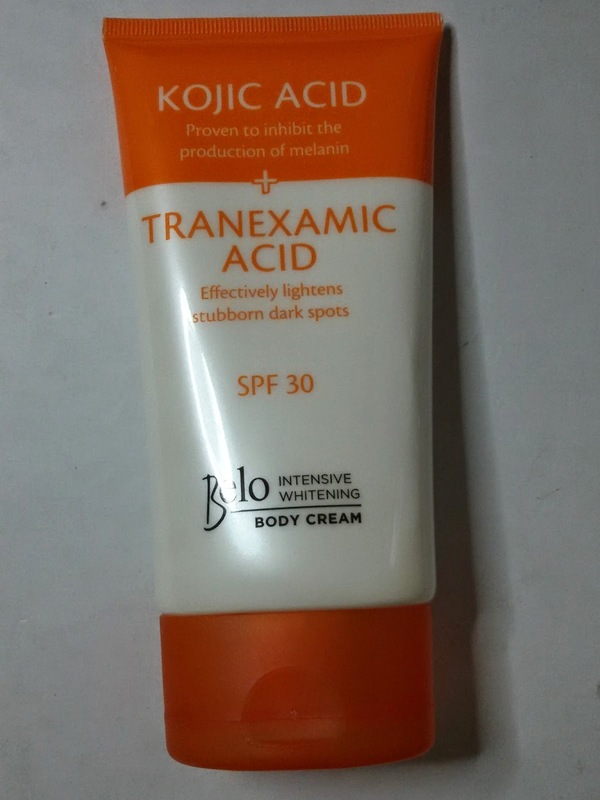 They boast of a unique combination of two most powerful whitening actives – Kojic Acid and Tranexamic Acid which are both responsible for a lighter appearance and tempering melanin formation. 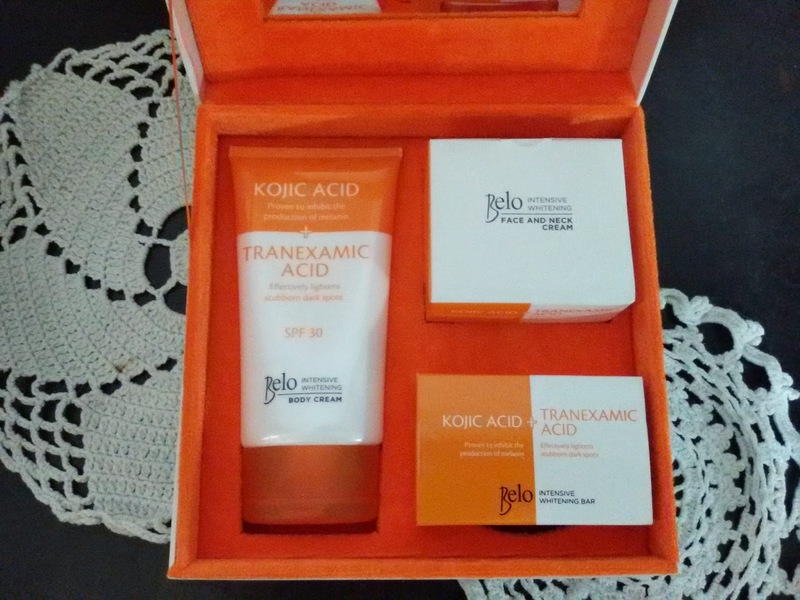 Kojic Acid is known to be an organic compound that gives the skin a visibly lighter appearance. While Tranexamic Acid is a peptide proven to inhibit inflammation and melanin formation. These are ideal for stubborn dark spots that do not respond to other skin lightening ingredients. During the first few days using the soap on my face and body, I felt a slight stingy sensation, which is normal because the active ingredients are already working in exfoliating the skin. It will fade away through continued use. It's recommended that the soap be used twice a day on face and body to see the results better. Make sure you don't use any other whitening product while on the BELO Intensive Whitening care. The soap also has Salicylic Acid which is an active ingredient in effectively drying my whiteheads and blackheads. It made me a lot happier because of that. The body cream is surprisingly light on skin and doesn't leave me feeling greasy like other body creams I used. It smells really good and even my kids like it. It leaves a silky finish and yet it's not heavy on the skin. And because it's SPF 30 it protects my skin for 300 minutes when I go out of the house on my way to work in the morning! It's recommended to use it after bath and twice a day to get the best results. I use the face and neck cream just like how I use my other face and neck moisturizers, after cleansing and toning. Same with the body cream, it's light on the face and neck and it's not at all greasy unlike most of the moisturizers I use! It's recommended to use this twice a day as well. It comes with a spatula to help you scoop your desired amount. But for me the recommended amount for the face is a medium pea-size which you may dab all around your face. Spread it with your middle or ring finger, which they say, gives the lightest pressure on your face compared to the others. This way you won't have to drag your facial skin downwards and you may prevent premature sagging of the skin. Another good thing about this is that it's SPF 30 which protects our skin from the harmful UVA and UVB rays of the sun. It's expertly formulated, hypoallergenic and dermatologically tested. I'm satisfied with the results I see after using BELO Intensive Whitening Skincare products for the face, the neck and the whole body. What's more, these are seen over the counter and also available online, and believe me, are not expensive at all. They are sold at very affordable and reasonable prices and hence I believe should be the choice of whitening products of every Filipina, who like me, are looking for quality and effective products which do not come with a shocking price tag. BELO Intensive Whitening Bar only costs Php 60.00 each, BELO Intensive Whitening Body Cream with SPF30 150ml is only Php 199.75, and BELO Intensive Whitening Face and Neck Cream is only Php 249.75. Try these practical and effective BELO Intensive Whitening Skincare products to see the results yourselves! Para you can also say together with Sarah Geronimo "Only BELO touches my skin!" 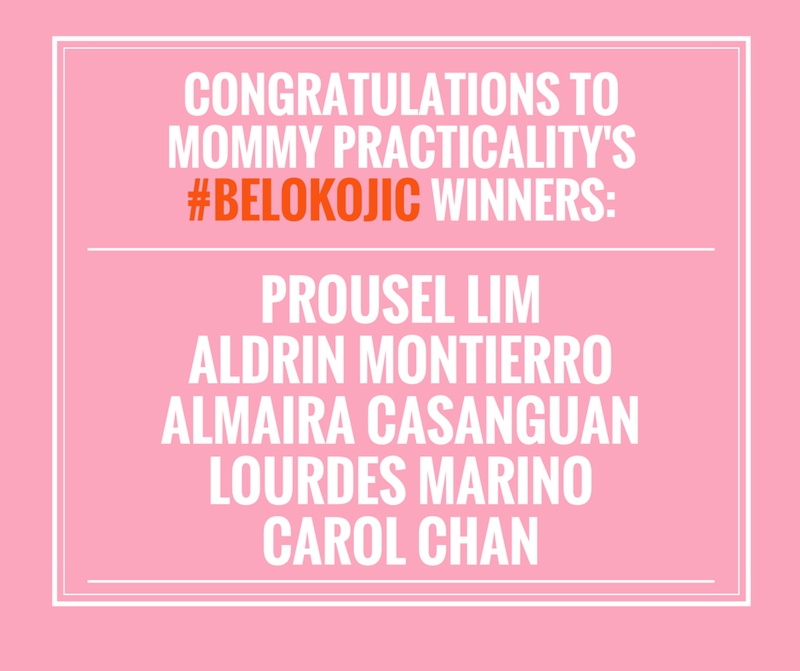 Because our dear friends from BELO Essentials are very generous, they are giving away FIVE (5) BELO Intensive Whitening Skincare Sets! 1. Open to all readers residing in Metro Manila and willing to claim their prize in BGC, Taguig City. 2. 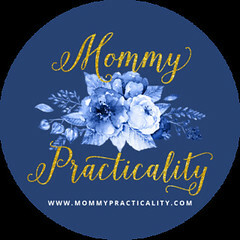 LIKE Mommy Practicality and BELO Essentials on Facebook or follow all tasks in the Rafflecopter. 3. Create an entry by answering this question on the comments form below this post: "Why do you want to have a lighter skin?" 4. Five winners will be chosen based on how unique and creative the message is. 5. Giveaway ends on April 10, 2015. 6. 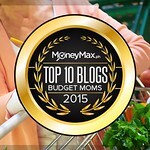 Winners will be announced on April 15, 2015. I want to have a lighter skin to gain more confidence and to feel better about myself! Thanks for this faBELOus giveaway! I want to have a lighter skin because i want to gain more confidence and make my husband fall more in love with me! I want to have a whiter skin so I can wear my favorite tank top this summer. I want to have lighter skin because I want to look radiant and glowing. I observe my skin darkens after resigning from my office work since home-based setting requires a lot of leg work under the heat of the sun: going to the market, paying bills, drop and fetch my daughter from school and more. It's vacation time and I think it's also the right timing to have a lighter skin. I want to take the opportunity this summer to treat my skin some tlc by giving it a lighter skin. I have been exposed to sun throughout the school year thus it made my skin really dark. Since, I won't be going out often this vacation. I hope I can achieve getting a better skin tone. Hope the New Belo Intensive Whitening Skincare can help me with my dilemma. I want to have a fair skin, not just whiter skin. I don't want my tummy to be the only part of my body that is light n color. It's not that I want to be fair-skinned but I have a lot of dark spots. I have sensitive skin and I am diabetic so any small scratch will easily darken and take longer to heal. I just want to get rid of those dark spots so I'll be confident to wear skirts and shorts again. I want to have a lighter skin so I can wear clothes that is suitable with my skin complexion. Although I am a Grandma already I take care of my skin. I love taking showers and enjoy skin care that can protect my skin for more visible sign of aging. I was able to try the Kojic soap and I love the effect and the scent. I would love to try some of the products too. 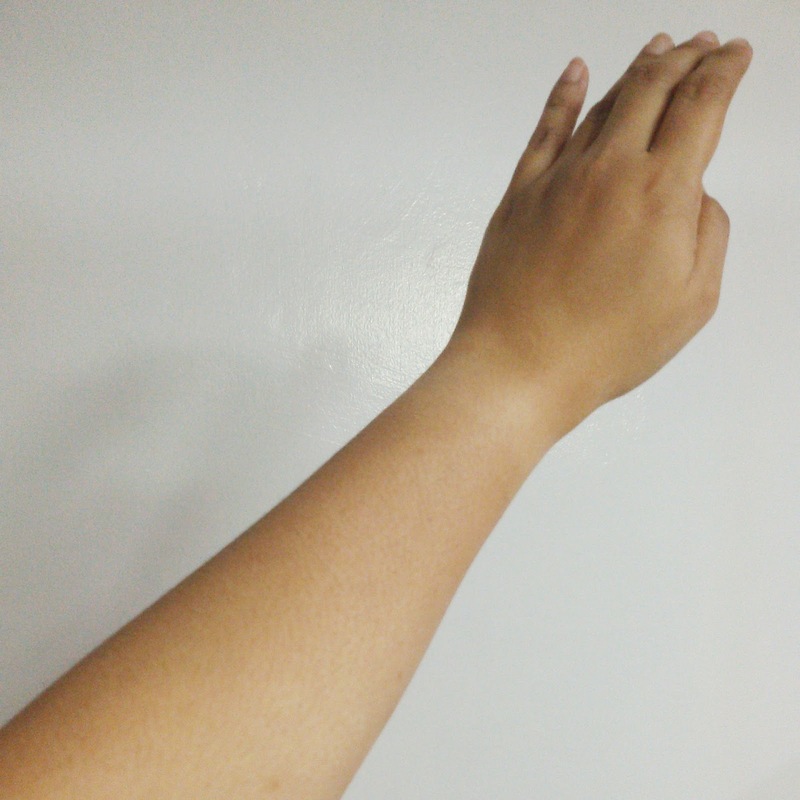 I want to have lighter skin in order to improve on my self- confidence. In doing so, I can be a better version of myself and I can inspire others more on my passions. I wanna use these whitening products not because I'm not contented with my natural skin color but because I just wanna even out my tone after struggling with severe scars on face and legs. I wanna have lighter skin because it will boost my confidence by looking fresh and clean all the time. The sun has been pretty harsh on me these past year as I went about performing my mommy errands. An acquaintance I haven't since for years commented that I seemed like another person with my darker complexion and even asked if I had an outdoor job nowadays. I would love to lighten my skin again and but I am at a dilemma at what product to use as I have sensitive skin so this post seems to be the answer as to what product to use. 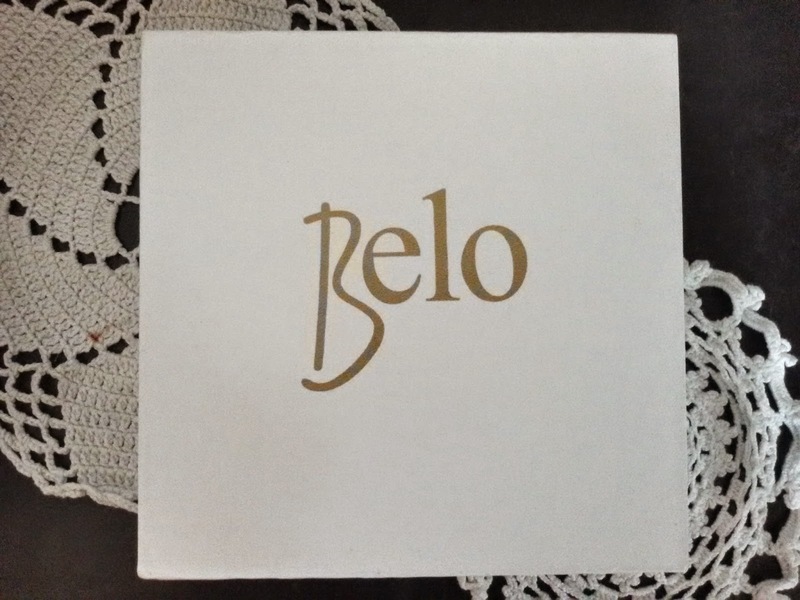 Belo is definitely a trusted name in the beauty industry! which is good in lightening dark spots and uneven skin. Thank you so much Ma'am Louise for unselfishly sharing your insights and reviews about the product. Needed to whiten my sun-exposed body parts to even out my skin color. 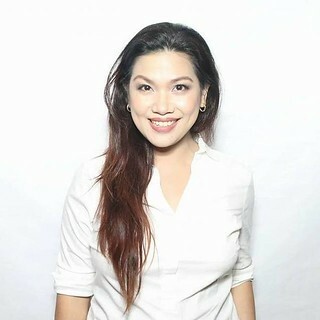 Gusto kong manalo ng belo whitening essential dahil mula nung mag asawa ko at nagkaroon ng 4 na anak nawalan na ko ng interest na mag ayos kasi bilang isang ina ginugol ko ang lahat ng oras sa pag aalaga ng mga anak, ikaw yung magluluto, maglilinis ng bahay, maglalaba, maghuhugas ng pinggan in short nawalan na ko ng oras para mg ayos kaya ngayon natutong magloko ang asawa ko hindi na sya katulad ng dati kaya ngayon gusto ko sana na ibalik yung dating ganda ng aming pagsasamahan hindi lang yung sa pag aalaga ko sa kanya bilang asawa kundi yung oras ko para sa king sarili at sana katuwang ko ang belo whitening essential sa pagtupad nito. i wanted to have a lighter skin because i want to banish those impurities due to my pregnancy last year. i am conscious about it because my skin got darkened and my skin has gone dry since i was not allowed to use any chemicals before. 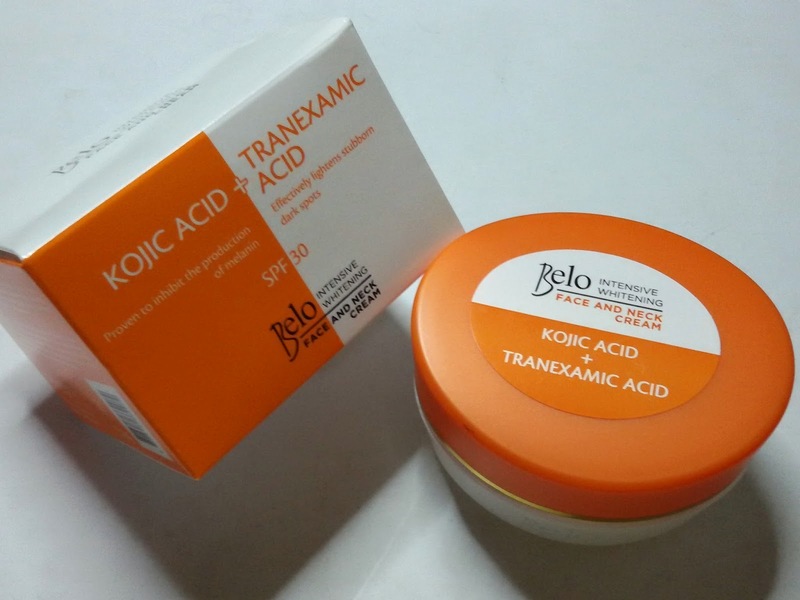 and since i gave birth i immediately used the belo kojic + tranexamic acid soap and it works! it also works on my stretchmarks. there are still parts that need improvements and i still need to push through. glad that it has lotion and moisturizer now that i wanting to give it a try. thank you. I wanna try this Belo intensive whitening set. For years tested na kahiyang ng skin ko ang mga Belo products. I want to have a whiter skin lalo na ngayong summer para feeling fresh lagi kahit madalas sweaty. Even men is dreaming or looking forward to have a fair and lighter complexion and healthy skin. But due to the pollution, exposure to heat and sun, and other harmful elements - my skin had uneven skin tone and oftentimes my face got dark spots and blemishes. I want to have a whiter skin kasi most my Mom & sister have a fair complexion. Namana ko yata kay Papa ung skin color ko. I am comfortable with it naman.. Kaya lang minsan I would like to have a whiter skin color din naman. I just want my dark spots lighten so that I can have an even skin tone. Di na kahiya ang mga singgit ko. hehehe! Nakasend na po na ng email sa winners?